Based upon the already available Opel Blitz Kit (RM280026), Rubicon published the Maultier variant that replaces the rear wheels with tracks. 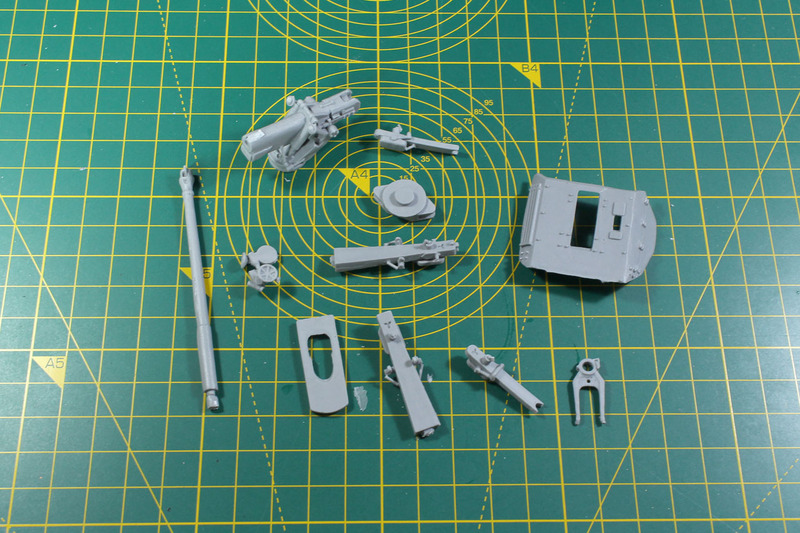 As with some of their other kits, like the SdKfz 25x, they cover further accessories. For the Blitz and Maultier there is the option to upgrade the cargo bed with the box body "Einheitskoffer". After the first winter in 1941 on the Eastern Front, the German army high command realised that the trucks weren't capable of handling the weather and terrain conditions. The vehicles often got stuck in the mud and snow. A unit of the Waffen-SS build the tracks of a Bren Carrier under a truck to confront those conditions. After realising the benefits of this modification in 1942, Opel, Ford and Daimler added these variants to their truck production. 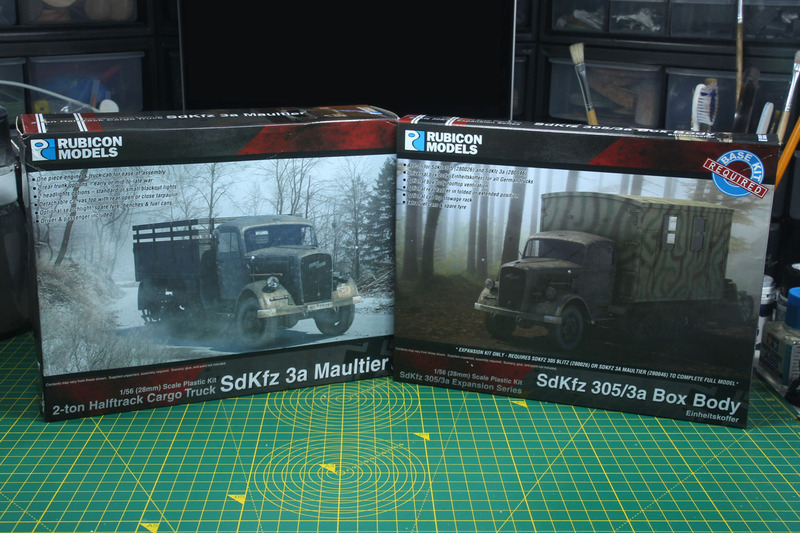 Depending on by whom the LKW Gleiskette 2t was build, it was called SdKfz 3a (in case it was built by Opel), 3b (Ford V3000 S) or 3c (Daimler L4500). The variant was called Maultier (mule) and further variants were build upon the halftrack vehicles, like the Panzerwerfer or with a 2-cm Flak 38. 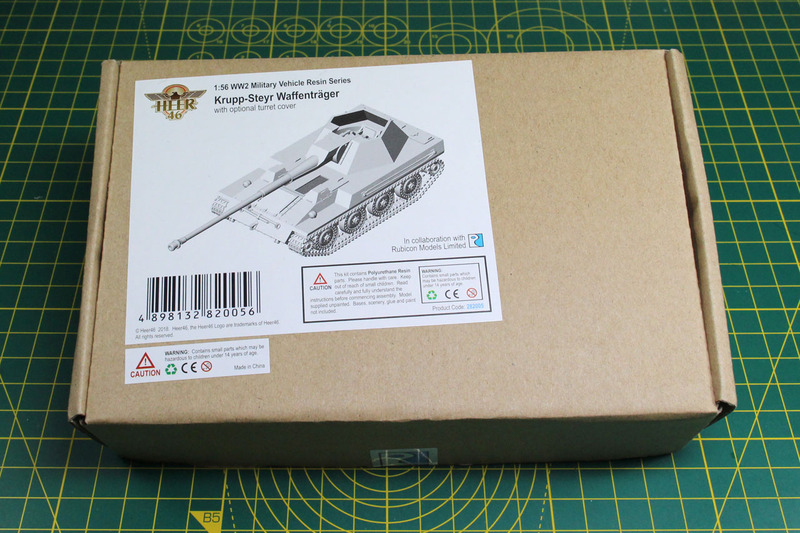 Following the Krupp-Steyr Waffenträger from Tuesday, today we unpack and build the Armato P43 Bis by Heer46. 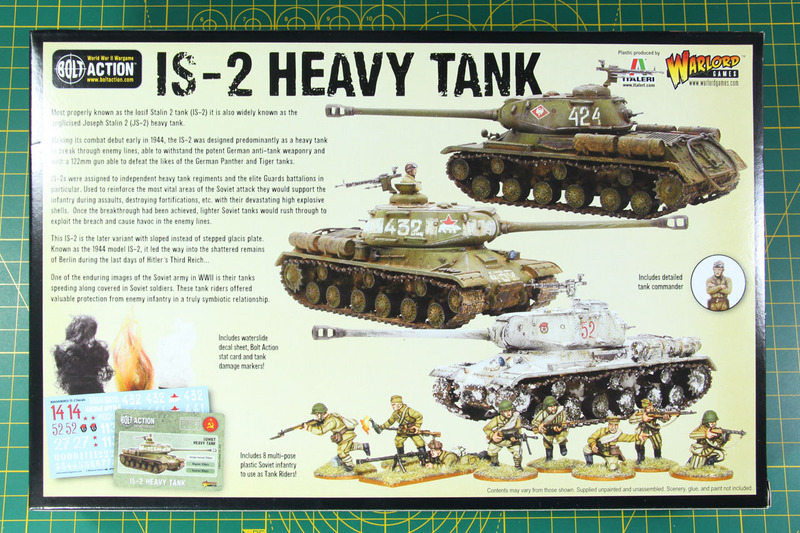 This is another tank from the resin series produced in cooperation with Rubicon Models. The Armato P43 was an Italian heavy tank that was developed by FIAT and Ansaldo, but never left the draft stage. The sources why the development stopped are not clear, some say the design was dropped in favour of the lighter P26/40 tank, but it is likely that the resources were just not available after the armistice of Italy with the Allies in 1943 and the Axis had other things valued higher than Italian tank development. Only two mock ups were build, but as mentioned before not further progressed. The tank was intended to weigh around 30 tons and have a 420-430 hp diesel V12 engine. 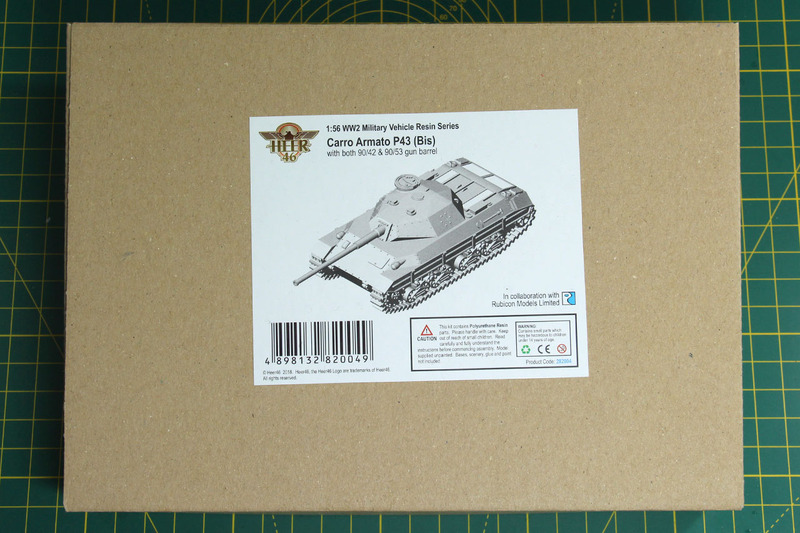 The name Carro Armato P43 stands for armoured vehicle, P for pesante - Italian for heavy - and the number '43 most likely standing for the development year. There is a new range of 1:56 scale resin kits produced by Heer46 in cooperation with Rubicon Models, as an addition to Rubicon extensive plastic range. One of the vehicles offered as part of this assortment is the Krupp-Steyr Waffenträger. Among the several Waffenträger (and their blueprint / papertank / prototypes) the Krupp Steyr Waffenträger is one of the less known vehicles. And like many of his kind, this tank destroyer never actually saw service. Only a similar concept of this Waffenträger, known as the Ardelt project was produced and can be seen nowadays in the Kubinka tank museum in Russia. Two wooden models and one trial Waffenträger were produced in 1944, that had a chassis constructed by Steyr mainly using parts from the RSO (Raupenschlepper Ost), and armed with an 8,8 cm KwK 43. 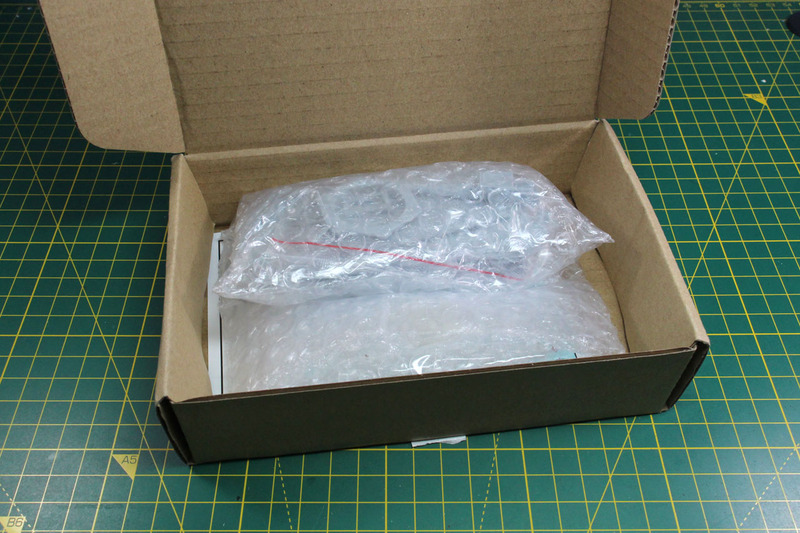 This was the base for the model we see here. Due to the turret, and in combination with a small mobile ramp, the firing arch of this Waffenträger was amazing versatile. As this is a rather special vehicle, there aren't that many further information available. Most may know the Waffenträger from games likes Warthunder or World of Tanks. 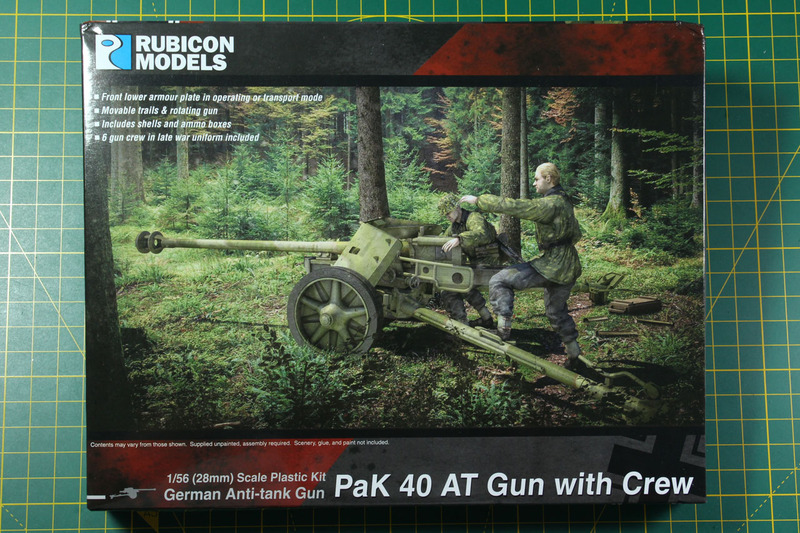 Heer46, the German resin forge for small series, released this 8,8 cm PaK 43 late 2017 / early 2018 and it fits well, with this week's anti-tank gun theme. I have covered their Panther F-Schmalturm and Sd.Kfz. 247 Ausf. B on here as well. Initially designed by Krupp as a competition to the 8,8cm FlaK 41 (the second generation of the 8,8 cm Flak 18/36/37), it was reworked and went into production in 1942. The first units were mounted to the Nashorn tank destroyers, later in mid 1943 available on cross outrigger or split rail carriages (as PaK 43/41). 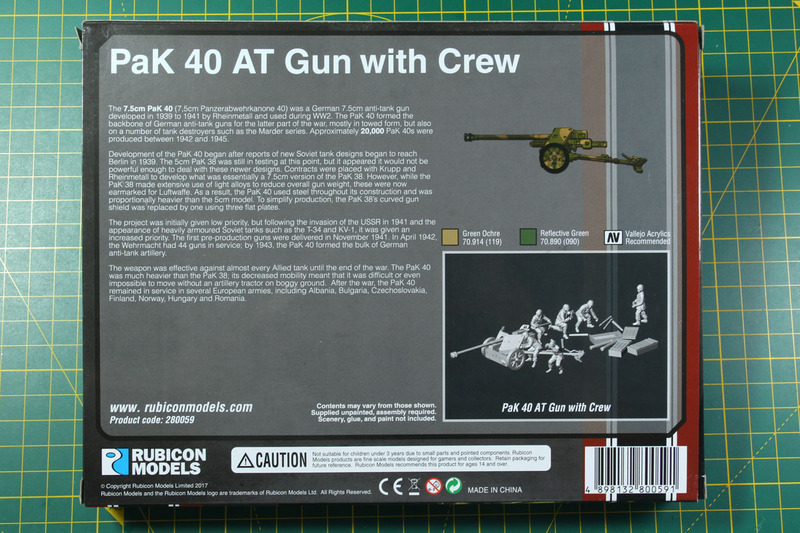 After a brief detour into the Wild West, we're back to anti-tank gun week with the PaK 40 by Rubicon Models. The 7,5 cm Panzerabwehrkanone 40 or PaK 40 was the backbone of the late war German anti-tank guns. More than 23.000 units were produced and mostly used on carriages, but some were mounted to tank destroyers like the Marder series. Development of the PaK 40 started early, when the first Soviet tanks were brought to Berlin in 1939 and the 5 cm ammunition of the PaK 38 that was still tested at that point, proofed to be not powerful enough to deal with the newer designs of slopped and thicker armour. 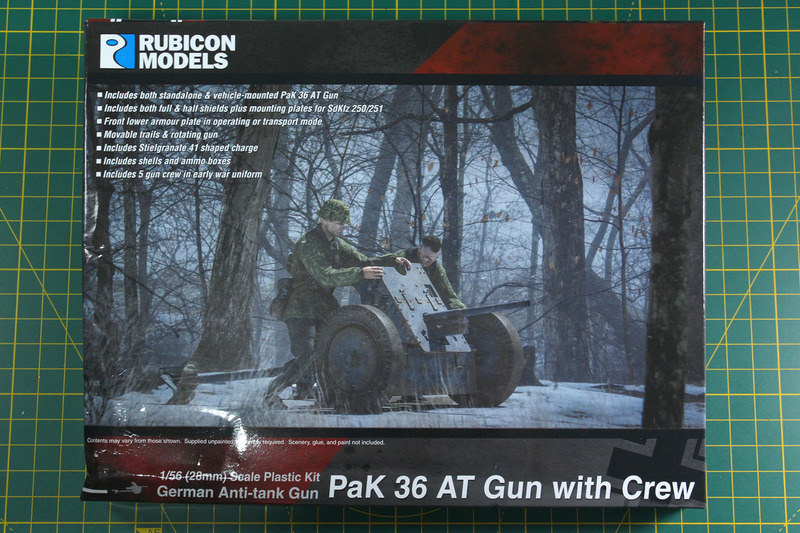 Today we're looking at the successor of the PaK 36, the PaK 38 by Rubicon Models. 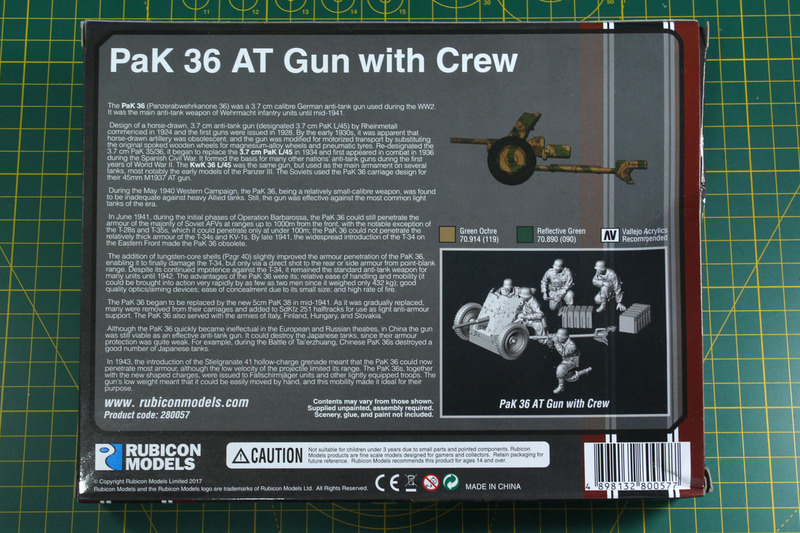 This kit covers the variants 38 and 97/38 of the anti-tank gun including a crew. Rheinmetall-Borsig, who produced the earlier PaK 36 as well, were ordered to develop a new, heavier anti-tank gun after the Spanish Civil War. 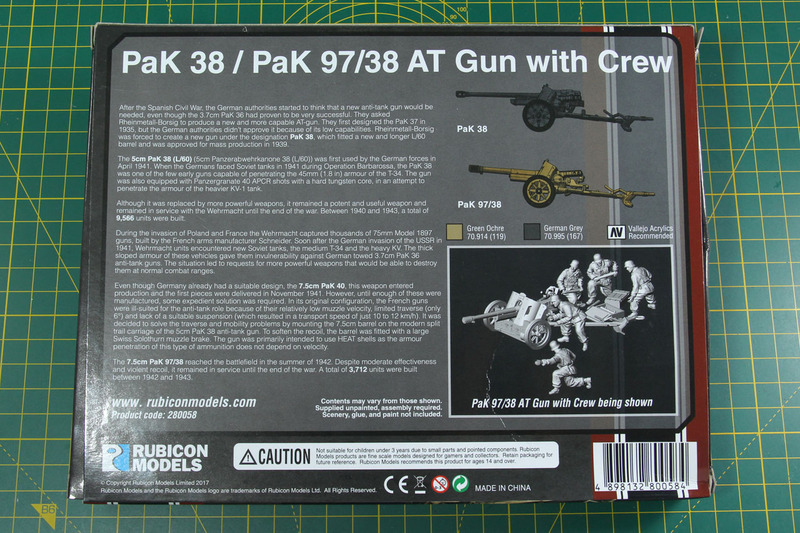 After an initial sketch of a new pattern named 37, which was not approved by the German authorities, they had to come up with an improved version, the PaK 38. This more powerful anti-tank gun was one of the few guns being able to penetrate the sloped armour of the T-34 in 1941. This week is all about anti-tank guns. 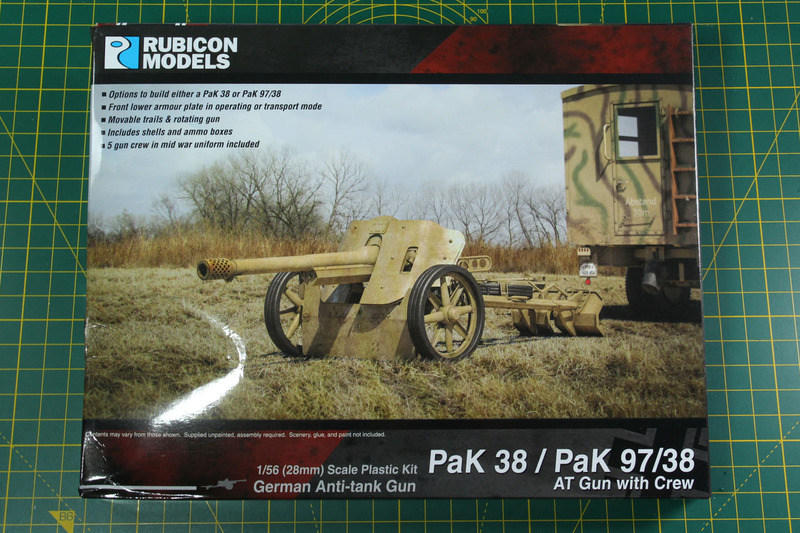 We'll cover a couple of different sets in 28mm, beginning with this PaK 36 AT Gun incl. crew by Rubicon Models. The PaK (Panzerabwehrkanone) 36 was a German anti-tank gun, that was issued to the German army in 1936 and used by the tank hunter units until 1942. It even saw action before World War 2 in the Spanish Civil War, and performed well against the light tanks and later against the Polish tanks in 1939. In the Battle of France it showed its weakness against French and British heavy tanks. The PaK 36 was replaced from late 1940 onward by the 5 cm PaK 38 anti-tank gun and from November 1941 by the 7.5 cm PaK 40. Until the production ceased completely, there were over 20.000 units produced, of which roughly 6.000 were built for export. Other nations like the Soviet Union and Japan copied the design in the 1930s. It might be a bit odd to present a French tank during the Operation Market Garden week, but the Char B1 Bis is in there for a reason. They were used for example by the Panzerkompanie 224 in the battle of Oosterbeek. 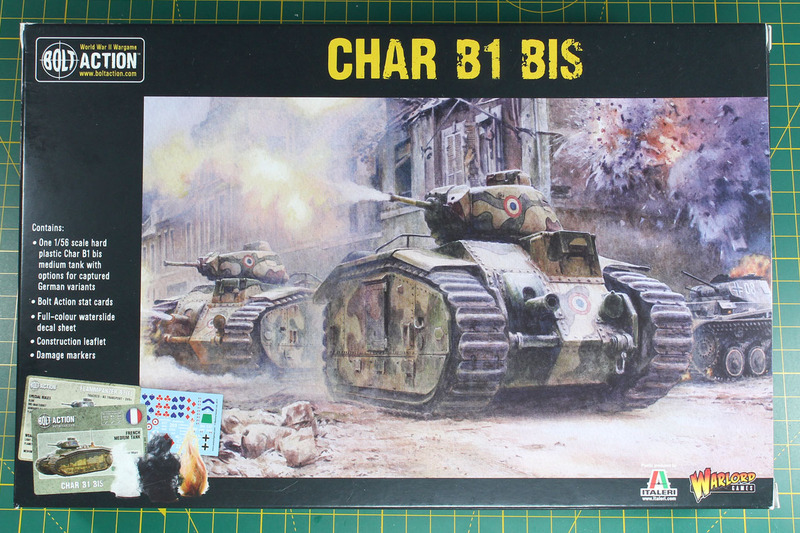 The Char B1 was a French heavy battle tank that was designed in the 1920s and produced between 1935 and 1940. 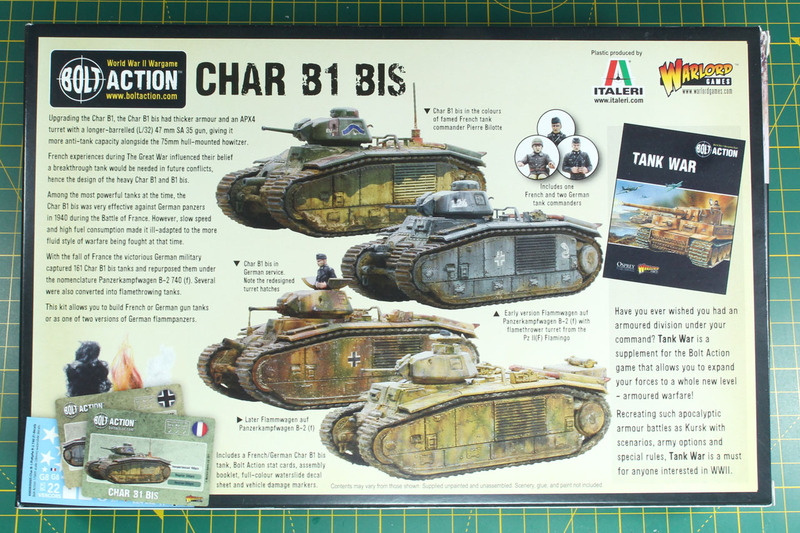 After an initial run of 34 Char B1, the pattern was improved and around 370 units of the heavier armoured and armed Char B1 Bis were build. It was one of the most powerful tanks at the time and proved to be very effective against German tanks during the Battle of France. But it was designed to be a break through vehicle and did not adapt very well to the modern, more fluid style of warfare, especially the rapid Blitzkrieg of the Germans. 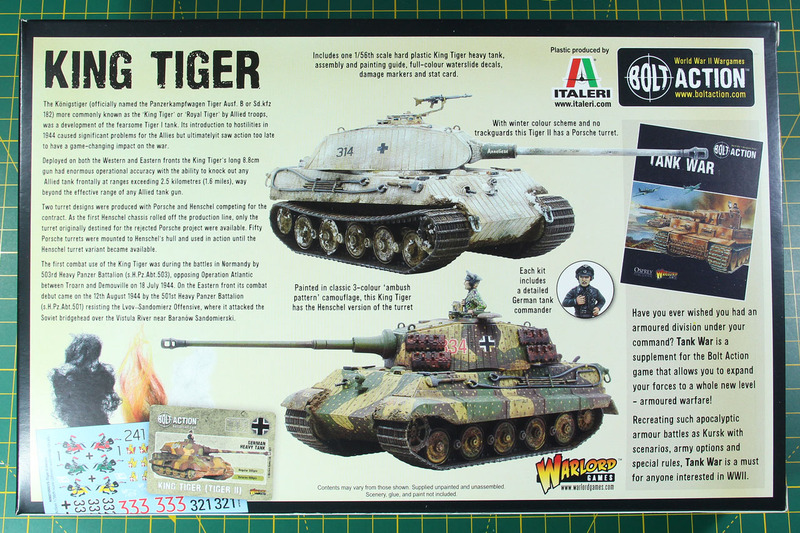 The King Tiger is in a couple of variants available at Warlord Games, with the plastic kit in cooperation with Italeri being the youngest incarnation of the German heavy battle tank. 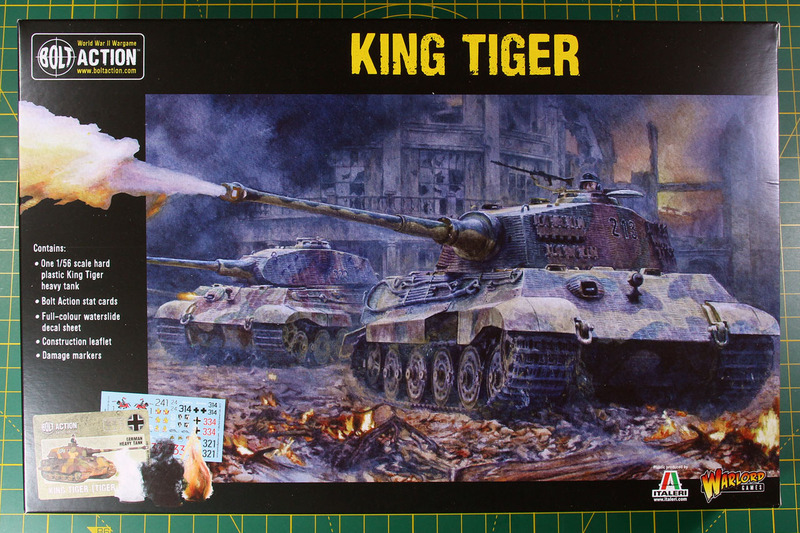 The King Tiger, or sometimes called Royal Tiger, has the internal designation of Sd.Kfz. 182 or Panzerkampfwagen VI Ausf. B Tiger II. Ausführung B and Tiger II showing it as a derivate of the Tiger I tank, but improved with sloped armour that made more use of the thick armour plates of the Tiger tanks. After initial problems with the reliability, it proved to be a remarkable battle tank towards the very last month of the war. The Tiger II was the pinnacle of the heavy tank series that actually got into production, unlike the Panzer VII Löwe or Panzer VIII Maus that never really left the drawing board (or in case of the Maus just had some mock-ups or prototypes). 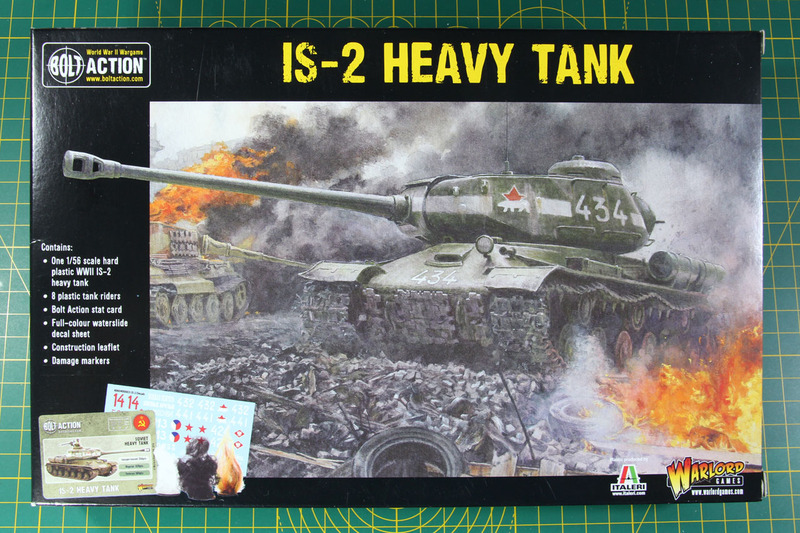 The heaviest plastic tank kit Warlord Games offers for the soviet forces is the IS-2 heavy tank - a perfect match for the Bolt Action campaign supplement The Road to Berlin and worthy enemy for the King Tiger. Time to honour it with a review on its own. The IS-2 (Iosef Stalin, in Wnglisch often called JS-2 for Joseph Stalin) was the successor of the IS series heavy tank and counts as one of the most powerful tanks of World War 2. It was developed to withstand the German 8,8 cm guns and to counter Tiger and Panther tanks with the 122mm gun. It went into service in April 1944 and was used in the final offensive of the Red Army towards Berlin. Of the IS-2 were 3.850 units built between 1943 and 45, making it the most numerous tank of the IS series and triple the number of produced Tiger I. Besides being field by the Red Army / soviet forces, the IS-2 was part of the Polish and Czechoslovakian tank forces towards the end of the war. To the end of the war, the IS-3 was introduced as a derivative of the IS-2. IS-2s often would carry soviet soldiers into battle, offering valuable protection from enemy infantry. 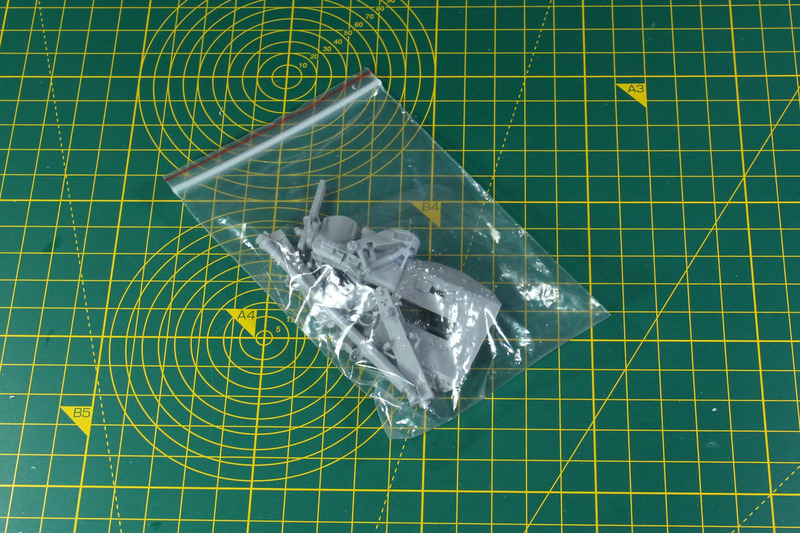 Warlord pays respect to this and adds a sprue of plastic infantry to this kit.